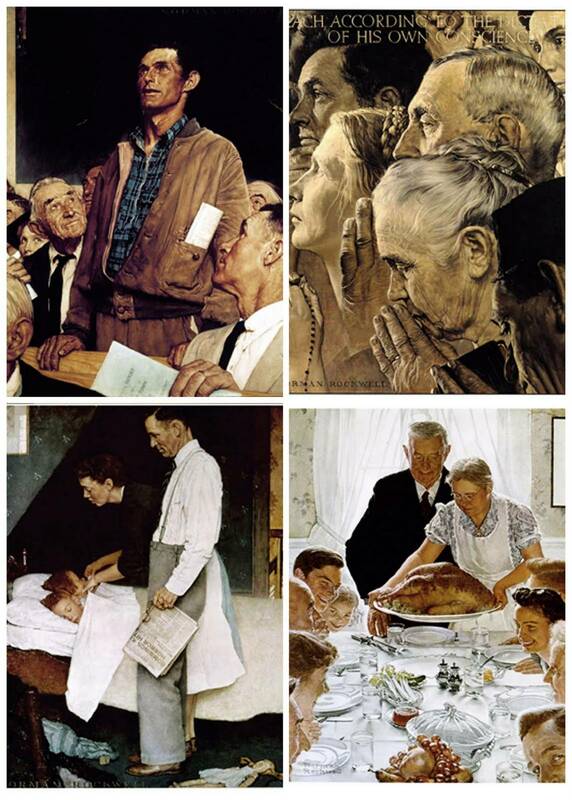 In his series of four paintings illustrating President Franklin Delano Roosevelt’s Four Freedoms, the very traditionalist and conservative American illustrator Norman Rockwell depicted Freedom of Speech as a common, home-spun fellow, dressed in chinos, flannel shirt, and a barn coat with a folded paper stuck in the pocket, Solidarity Sing Along songbook-style, needing a shave, standing up in a room full of (more than 20?) of his fellow Americans, speaking his piece. Much in the proposed rule is objectionable, and I’m sure you will hear from knowledgeable, eloquent, and concerned citizens about it, including, if you read his words on the subject carefully and respectfully, United States District Judge William M. Conley in his July 8 Opinion and Order in Kissick v. Huebsch and Erwin, 13-cv-099-wmc. My purpose is not to be repetitive, or to belabor what should be obvious! The 28 inch size of signs permitted to individuals is arbitrary in light of the stated purpose. The standard for assessing whether a sign or other display is hazardous allows unguided, unfettered discretion; indeed, it has already been ludicrously applied to individual sheets of typing paper and small pieces of silk-like fabric and quarter-inch thick Styrofoam. 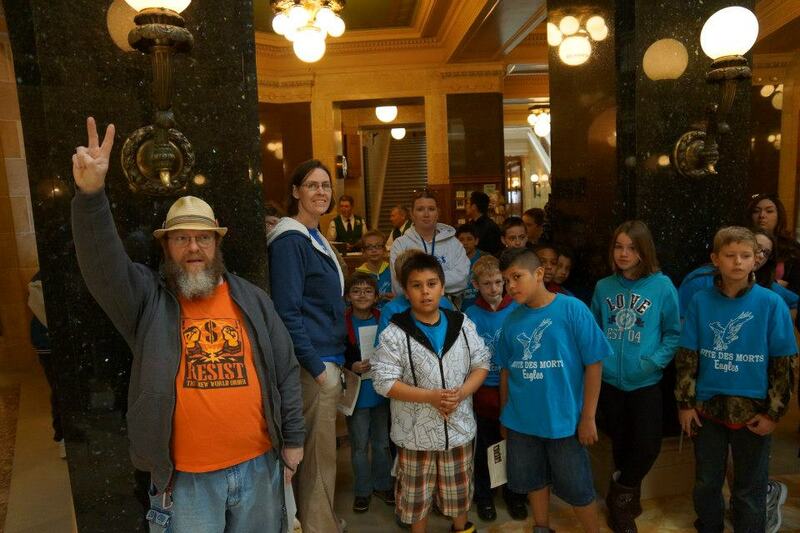 Wisconsin is not the United States nor any other State, and its Capitol is not theirs in setting (in a town square), design (as a place for public assembly, consultation, and petition), or history. There are no standards to guide the decision whether a previous statement is a “material misrepresentation,” and the decision is left in the hands of the police. There is no practicable way to obtain a permit for a repeated or ongoing event. There are no standards to guide or fetter police discretion to assess the financial amount of claimed damage resulting from an event. The Department’s track record in this regard is, as is well known, poor. Police are apparently already willing to wield their authority to declare and notice an event or other behavior as unlawful prospectively, using a tactic of saying, if effect “I am telling you now that if this becomes unlawful, you will then become subject to arrest. This is your notice.” These rules do not on their face prevent such a cowardly and manipulative tactic, which chills the exercise of rights even under this objectionable rule. Regulations of the time, place, and manner of free speech and assembly must be reasonable. Declaring a single event unlawful, and banning every “participant” from the Capitol, or potentially, from all State facilities, in perpetuity until the police have “modified or reversed” the ban is unreasonable, and allows persons to be chilled in the exercise of their rights, or simply prevented from exercising them, without guidance or fetter on police discretion. There needs to be an automatic termination of such bans.